It can be disconcerting to find yourself in the middle of a personal injury situation, and you may not know what to do. Seeing Michael A. Dorn Jr., DC, at his Baltimore clinic is a wise first step. He can assess your body for damage you may not even know you have and treat any neuromuscular problems he finds. Make an appointment at the Baltimore Back & Pain Center for an assessment today — call or use the online scheduler. 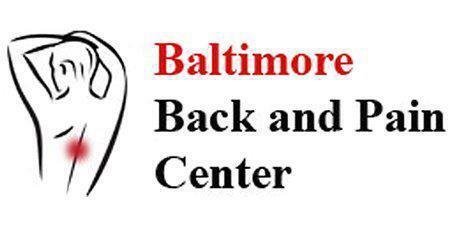 "I highly recommend Baltimore Back and Pain Center. I only wish I had found them sooner!" The term “personal injury” refers to a physical injury to the body that occurs on someone else’s property. Slip-and-fall injuries are the most common type of personal injuries that Dr. Dorn treats. What should I do if I’ve experienced a personal injury? If you get hurt at a private residence or business, you should first seek medical attention or at least consult with your healthcare provider. You can make an appointment with Dr. Dorn right away so he can examine your spine and joints. He may identify injuries that wouldn’t be immediately apparent to you. You may choose to consult a lawyer for personal injury to help you navigate the reimbursement process. Many attorneys offer free consultations for personal injury cases. Next, you should report the incident to your insurance company. They may want to do their own investigation into the incident to decide whether or not the injury was a result of negligence. The extent of your injury may not be apparent because you may not have any symptoms or notice any observable changes. However, with X-rays and other exams, Dr. Dorn can make sure your neuromuscular system is in proper form. You may have a time limit in which to report a personal injury, so if it takes months for symptoms to appear, it may be too late. A chiropractor can also help speed the healing process with physical therapies. Dr. Dorn uses spinal manipulations, manual therapies, and therapeutic instruments to get your body back into place. The sooner you receive treatment, the easier it is to restore balance to your body. If you’ve experienced a personal injury in the Baltimore area, consult with Dr. Dorn to make sure you identify any neuromuscular trauma right away. Call or use the online scheduler to book an appointment. At Baltimore Back and Pain Center, we accept most major insurance plans. Here is a list of some of the plans we accept. Please contact our office if you do not see your insurance provider listed. "I enjoy every visit to the Baltimore Back & Pain Center. The staff here makes every visit enjoyable."